12 Time AALBC.com Bestselling Book! Thomas Jet is a successful investment banker from Chicago. His life is well ordered until his father dies, and he makes a promise to go on a fateful journey to a family reunion in South Carolina. 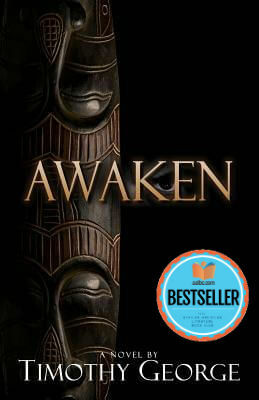 After Thomas learns his father's real identity and his involvement with an ancient African secret society, he starts a quest for truth that will change his life forever. More secrets continue to emerge that force him into the shadowy world of industrial espionage where cartels control the international diamond trade. Thomas is forced to take drastic actions to save his life. Along the way, he discovers the real secret his father was hiding from the powerful forces that are chasing Thomas. A secret they will kill to possess. Every step into his father's past delves Thomas deeper into his powerful ancestral roots as he and the African secret society search for clues to the location of a vast lost treasure. Now Thomas is locked in a life-or-death race to find the treasure before the diamond cartel's agents unravel the secret clues hidden for half a millennium. Tell us what do you think about Awaken.